In your own home – No previous experience is necessary. No matter where you live, you can begin your journey into sewing your own garments, a complete set of visual instructions on DVD will guide you through this dressmaking correspondence course in the comfort of your own home. A to Z – The easiest-to-use sewing reference DVD’s available. Every sewing technique is demonstrated from start to finish with close-up filming. You can start this course any day, no need to wait for the class to start! Confidence to tackle any dressmaking project, it is now possible to learn all the sewing skills you will need with our distance dressmaking course by correspondence. Step by step, beautifully demonstrated visual instructions on 61 sewing techniques including collars, plackets, facings, sleeves, zips etc. and visual lessons on sewing requirements, pattern buying, layout, cutting, marking, interfacing and pressing. In your own home – No previous experience is necessary. No matter where you live, you can begin your journey into sewing your own garments. Up to date techniques on a 5 x DVD set, with close up step by step filming. A visual reference library of 61 essential sewing techniques plus 6 fundamental sewing lessons. 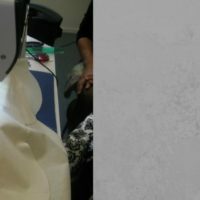 The technical reference set is an authoritative source of tried and tested sewing techniques that will help you achieve a professional and accurate result every time. Ideal for beginners through to advanced sewers – from pattern selection to professional sewing techniques. The course will depend on how much time you have to commit to your study. We estimate approximately 5 months work. We will give email and telephone support during the course. We do however follow the NZ school terms and feedback will be given during term times. Investment: for the complete course is: $1299 a 5% discount is available if the full fee is paid before commencement. Or take advantage of our Interest Free instalment plan. International students fee on request and not eligible for the payment plan. However, all fees from students both local and international are protected by the Public Trust’s Fee Protect Student Fee Trust Account for the time it would take to complete this Certificate which we estimate to be 20 weeks. You will be asked to set up an account with the Fee Protect Scheme as part of your enrolment and all monies will be deposited into this account and paid out over 20 weeks. If you should take longer than this to complete your certificate then you should notify us of any changes in your circumstances which would prevent you from completing the course in this time frame. Once enrolment form and the deposit payment have been received we will send you the DVD’s and sample sewing notes by return mail. This course has been developed by the New Zealand Academy of Fashion using the latest technology.